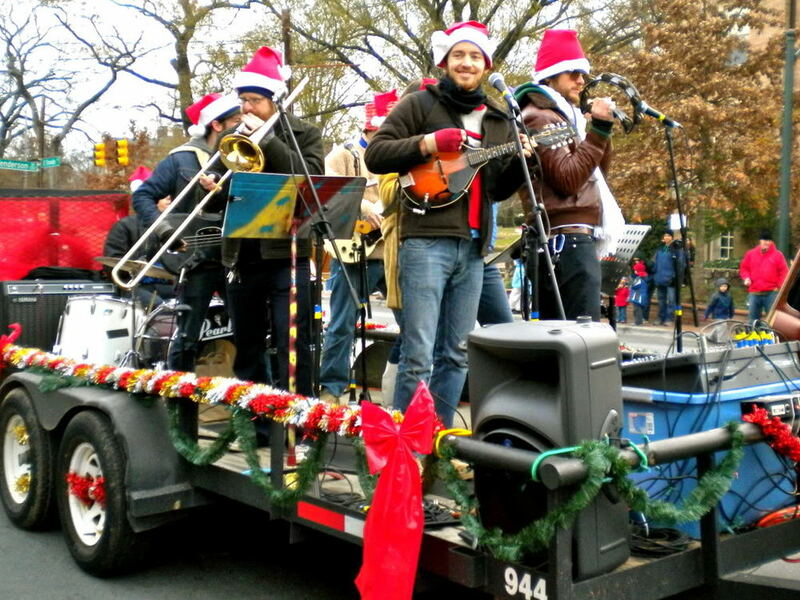 Find all the fun activities in Downtown Chapel Hill this holiday season! 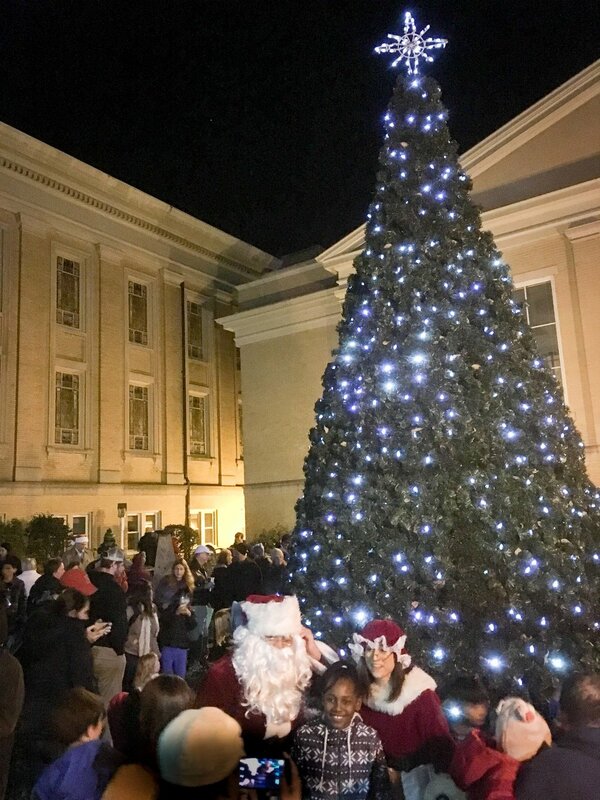 Downtown Chapel Hill shines bright with holiday spirit and cheer! Here's a cheerful list of family-friendly activities and traditional holiday events to enjoy. Click below to cast your vote for your favorite downtown window display! Come back every day to vote for the downtown merchant with the best, most cheerful display! 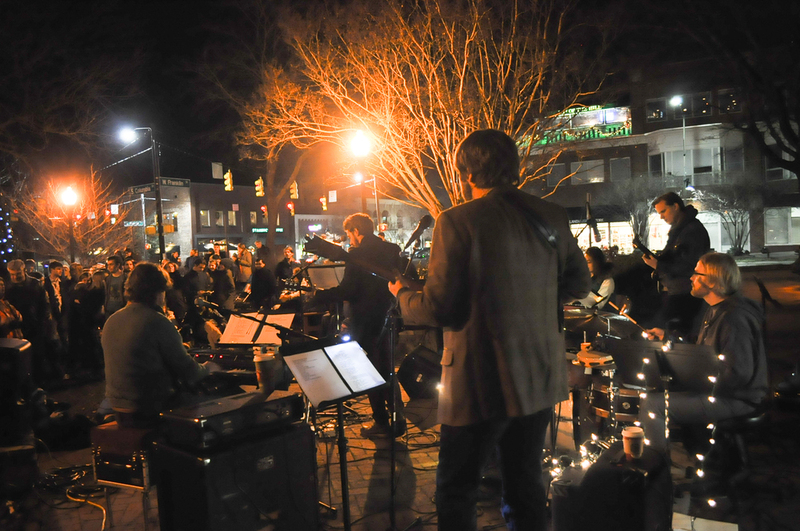 Support Chapel Hill and the many local shops and restaurants along Franklin Street this holiday season. Many of the locally owned and operated businesses have unique gift ideas for everyone on your list. Even that uncle you SWEAR has everything! Downtown parking specials begin on Thanksgiving Day (Thursday, November 23) and continue through January 1st with free Saturday parking downtown. Parking will be free during the day on Saturdays throughout December at all Town-owned parking lots and metered parking (3 hour time limit) until 5pm. After 5 p.m., normal rates will be charged at Wallace Deck and Rosemary/Columbia Lot. Parking Services celebrate the holidays too! From Monday, December 25 to Wednesday, December 27 and New Year's Day (Monday, January 1), parking will not be enforced. And remember... public parking is always free on Sundays! Visit www.parkonthehill.com for a map of downtown parking. Share your holiday dinner with someone who needs it. For Thanksgiving, Christmas, Hanukkah or Kwanzaa; please consider sharing a dinner with someone who might not otherwise get one. A gift of only $25 helps the InterFaith Council for Social Services (IFC) offer a family a holiday dinner: a turkey or ham, mashed potatoes, stuffing, vegetables, bread and dessert. This year, with your help, the IFC will provide holiday dinners to at least 700 families. To contribute, visit networkforgood.org. Toy Chest provides an opportunity for low income parents to select two to three gifts per child aged 18 or under to ensure that every child in Orange County has something to celebrate during the holidays. Donations of toys and volunteers are needed! Great opportunity for businesses, organizations, or groups to get involved! Toy Chest volunteers are needed the week of December 11 for sorting, counting, moving, setting up toys; decorating; other prep tasks. Volunteers are also needed Saturday, December 16 from 10-6 and Sunday December 17 from 12-5 as escorts for shopping parents and day-of needs. Help in other ways with a donation of new, unwrapped toys and books. Visit https://hillsborough-nc.toysfortots.org for a list of collection sites. Or, to arrange a financial contribution, contact holidayprogram@orangecountync.gov to donate.